Top Ideas & Upgrades for Home Remodeling Services in Norton | Boss Services Inc. It can be very exciting to start making plans for remodeling and renovation services, such as Boss Services, Inc. in Massachusetts, to come in and provide you with upgrades to your home. The options available to you with regarding to flooring, fixtures, appliances, cabinets, cupboards, counter tops, additions, exterior design, roofing, windows and doors can be overwhelming, to say the least. It helps to have a plan when you contact your local Norton construction and remodeling contractor. If you know what you want to do, such as put on a new roof or upgrade residential windows, make sure you are clear about your intentions. If you are working on a kitchen or bathroom remodel and want to make other upgrades in the same area at the same time, be sure to discuss those ideas too. There are some situations where a change to the layout or structure of your home can be a huge advantage. Odd-shaped and sized rooms, particularly kitchens and living space, can make navigating a home very difficult. More and more homeowners are choosing to change the layout of their kitchens and bathrooms during remodeling and renovation services, however they are now making other changes too. For example, if you decide to upgrade residential windows to improve energy efficiency or to replace worn window frames, this is a great opportunity to get a different type of window to better suit your needs. Switch out horizontal windows for vertical, double-hung for picture – whatever you think would work better in its place. 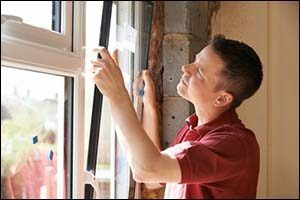 You don’t always have to put the same thing back in the same place when you upgrade existing windows. You could even make the window larger or break a big window into smaller windows for more air flow control. These are the type of changes that change the appearance of your home, while sometimes enhancing the function. Work closely with your contractor for Norton construction and remodeling, to make sure that the choices you are making coordinate with your home’s architectural style and design, while ensuring that they are practical for daily use. Work closely with your trusted remodeling and renovation services to create a plan of action for your home remodeling services in Norton. Make sure that your contractor knows what you want and that you keep the lines of communication open throughout the entire project. Know the anticipated completion date and provide photos, website addresses, brochures and anything else you can find to show the Norton construction and remodeling contractor what it is that you want. Know the cost for the extras that you want, including specialty flooring options or enhancements when you upgrade residential windows. Know your budget ahead of time so you won’t go over the top with all those extras. Make sure that your primary areas of focus are addressed in the work schedule so that nothing gets overlooked. Think about what you need in order to improve the condition of your home and then toss in extras that you want if you can afford them. Experts suggest making a “nice to have” list of all the fun things you want like a special ice maker or beverage cooler, alongside a “have to have” list of the necessities, such as a new slider door or upgrade to residential windows. When you are planning a project for home remodeling in Norton or the surrounding Massachusetts area, make sure to work with licensed and insured contractors, such as the team as Boss Services, Inc. Not only will our highly trained technicians and skilled craftsmen help you with your remodeling and renovation services, but they can also help you with a variety of other tasks related to Norton construction and remodeling. Whether you want to put on an addition or simply upgrade residential windows to match your new aluminum siding or exterior paint job, Boss Services, Inc. has the skills, the equipment and the team to help you achieve your goals. Give us a call at (508) 297-0635 to get an estimate on any of our professional services.